Grasslanz has been a success story through the delivery of technologies and products, from the Crown Research Institute science system, to end users both in New Zealand and offshore. Grasslanz Technology Limited was established as a subsidiary of AgResearch in 2003.
employing a successful commercialisation model based around partnerships and licensing. 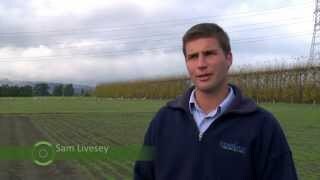 commercialisation of a large number of new forage technologies creating wealth for NZ farmers. its core strength of pasture cultivars and endophyte, and successful development of a broader product port-folio with international reach. Grasslanz was a finalist for the Commercial Deal Award at the 2013 KiwiNet Awards. Watch their story.